AudioCodes Mediantâ„¢ 800 MSBG is an all-in-one, Multi-Service Business Gateway solution, designed to provide converged Voice & Data services for small-to-mid size business (SMB) customers, and to form a well-managed point of demarcation for service providers. 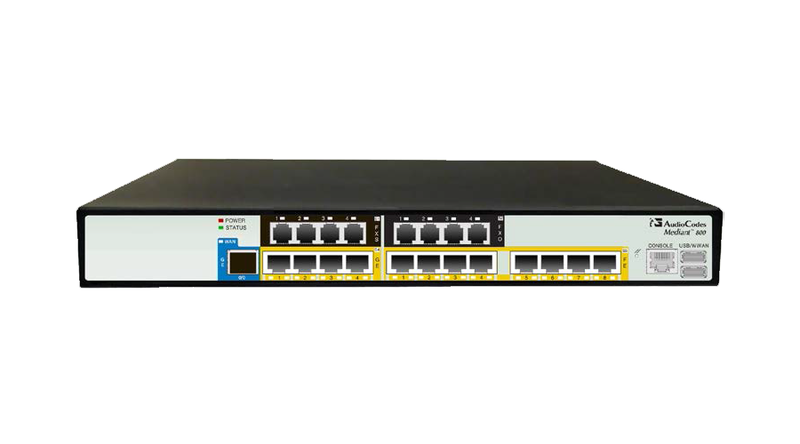 The Mediant 800 MSBG is based on AudioCodesâ€™ VoIPerfectHD best-of-breed Media Gateway technology, integrating a variety of communication functions into a single platform to support fundamental services, such as VoIP mediation, Data Routing, WAN access, Voice & Data security, survivability, and third party value-added services applications. These services allow smooth connectivity to cloud services.